While we all take good care of our carpeting, sometimes it becomes necessary to remove stains from carpet surfaces and covers. Liquids spill. Animals leave behind materials. Things happen. Fortunately, not every carpet problem is an emergency. 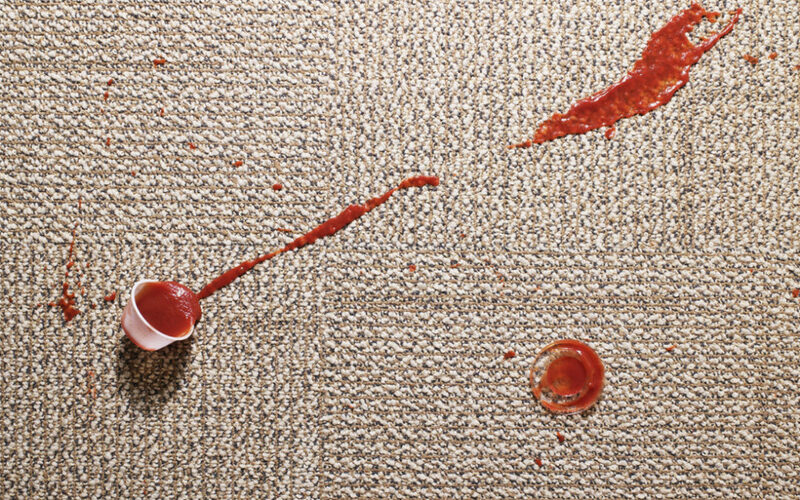 If you need a little help removing stains from carpet, we have some great advice. Follow these tips, and you can have an easier time dealing with everyday stains and situations. Remember to attend to spills promptly. Don’t let them linger or stay. Giving a spill time to take root and settle can make a stain removal challenging. If something stays long enough, you might be looking at a relatively expensive cleaning job. Scrape up any excess or blotting. When dealing with carpets, you want to work from the outside and move inwards. As you go, move towards the centre. This helps avoid spreading the stain. Dilute stains with warm water whenever possible. This works on most stains, but you want to use cold water if you’ve got a protein-based one, like blood. Keep doing this as long as the results remain positive, but halt if you’re just spreading the problem. Warm water and detergent make for a good alternative to water and dry towelling. Blot dry if it reaches this step. When removing stain from carpet, don’t over-wet with solvents. You can damage the carpet backing if you use too much. The same applies to salt and scrubbing. They may seem useful, but that’s because you’re stripping away at the carpet little by little. Don’t use bleaches. Once again, you could damage the carpet this way. Many fabrics can be permanently ruined by bleaching. Sometimes, even the best carpet restoration teams can’t undo the damage, if it’s extensive enough. Keep fresh stains most using a damp towel if you can’t remove it. This prevents it from setting and thus makes it easier when you get a professional to handle it.